1001 Inventions reveals 7 marvellous mechanical and water-powered clocks from early Muslim Civilisation. These sophisticated devices defied the Middle Ages. Clocks and timekeeping were one of the most significant developments of Muslim civilisation. Scholars, inventors and craftsmen made innovative automata, carried out detailed mathematical analysis, constructed intricate clocks and attempted to master automatic control as they created and expanded upon inventions to mark and measure time. Here are seven key examples. 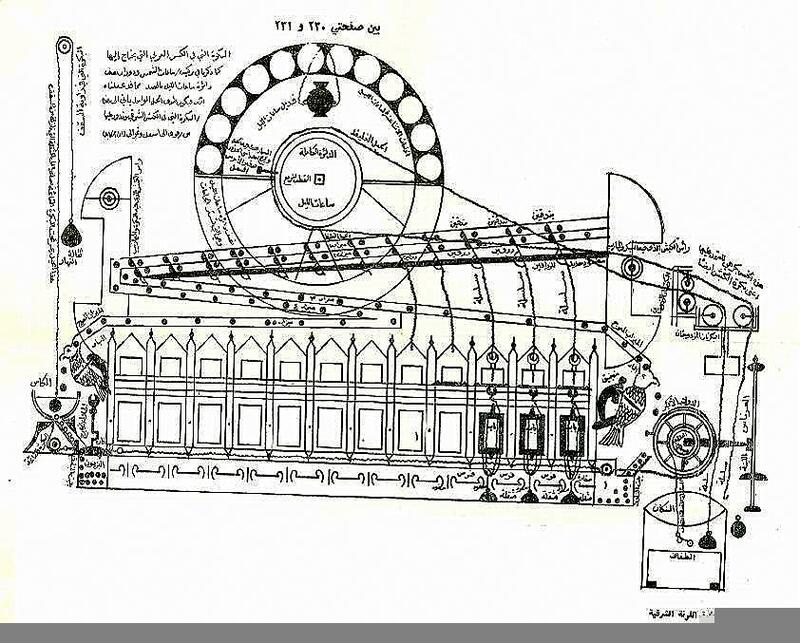 The general plan of the Umayyad mosque water clock as drafted by Ridhwan al-Sa'ati in his original manuscript. 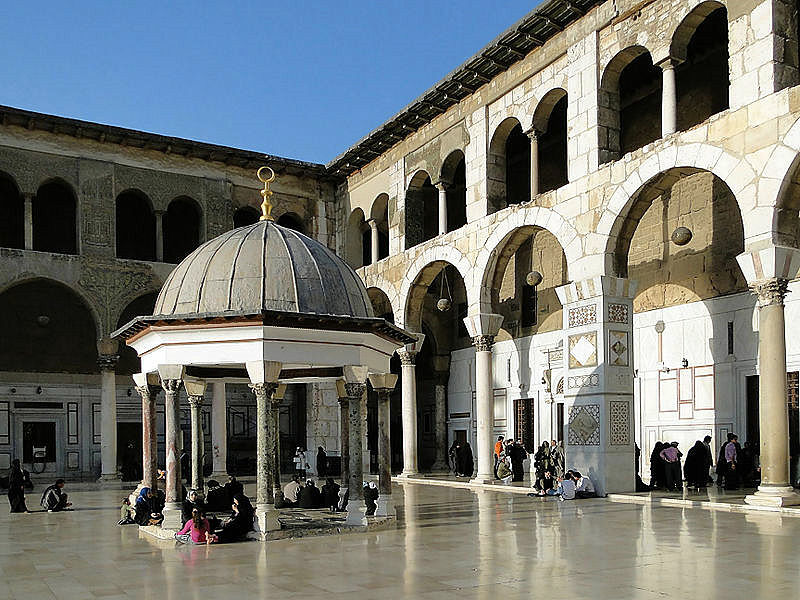 According to descriptions by Ibn Jubayr, the clock had both an upper level and a lower section. 3D animation image of the reconstructed model of Ibn al-Haytham’s clock. In 807, Emperor Charlemagne was sent a brass clock by the Abbasid caliph, Harun al-Rashid in Baghdad. According to the Emperor’s biographer, it was a “marvellous mechanical contraption, in which the course of the twelve hours moved according to a water clock, with as many brazen little balls, which fell down on the hour and through their fall made a cymbal ring underneath. On this clock there were also twelve horsemen who at the end of each hour stepped out of twelve windows, closing the previously open windows by their movements.” HistoryToday “Charlemagne’s Elephant”, Richard Hodges, November 2000.